This is a true aviation magazine which covers the world of flight from the beginning to its high tech future. Buy a single copy or subscription to Flight Journal magazine. 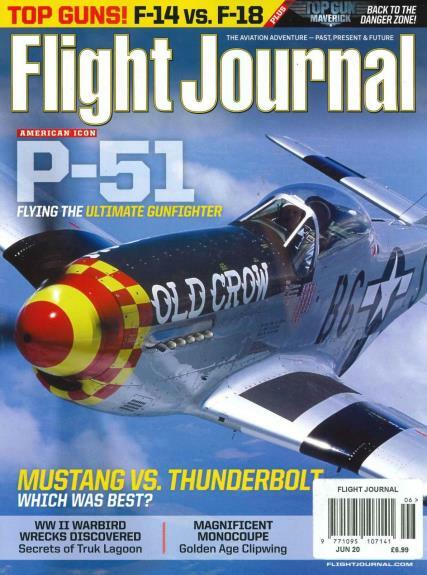 With this magazine, readers get into the cockpit and learn about aviation experiences, thrills and adventure with high gloss photography and amazing stories. It offers gripping accounts of flights and combat missions to put reader in the cockpit with all involved: pilots, engineers, gunners and eye-witnesses. Covering the world of aviation from its simple beginnings to its high-tech, no-holds-barred future. You can see aviation history through the eyes of those who made it. This magazine is like no others in the world, it covers the world of aviation from its simple beginnings to it no-holds-barred future. With amazing photojournalism, Flight Journal captures what it’s like to pilot aircraft that inspires fear and awe, from the historic P-51 Mustang to today’s stealth fighters. Buy your subscription with Unique Magazines today! Unlike many mags it is full of articles rather than adverts, is well written and fills a market niche. Britain at War is the magazine which I think is excellent. I am particularly interested in military aviation but the varied articles and first-rate writing in this magazine is what attracts me. I am really enjoying it!